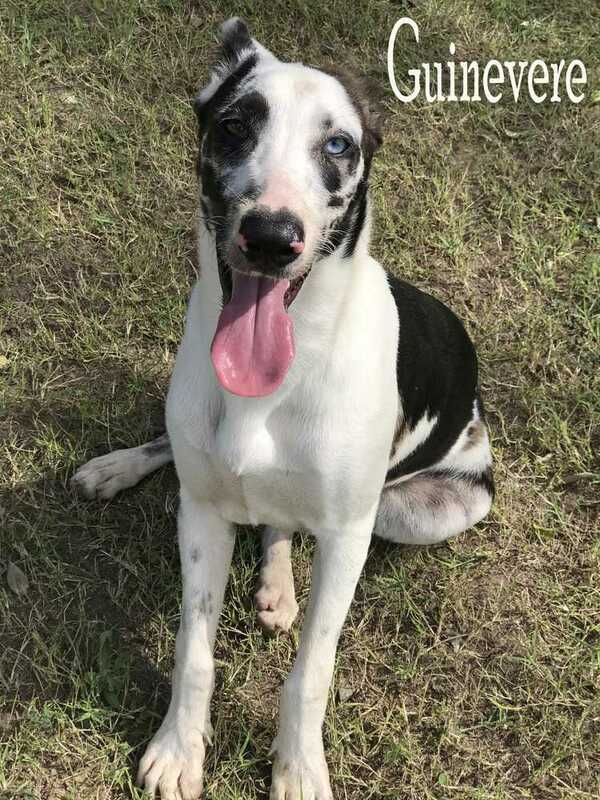 This mini Great Dane/Catahoula Leopard dog mix is the perfect compromise at only 55 pounds. Her stunning harlequin coat pattern is set off by her beautiful eyes, one of which is blue! With her wonderful personality you can't help but fall in love with her. She is a friendly, happy, loving lady who bonds quickly and is eager to please. Guinevere has lots of energy and would love to join you on the jogging trail. She is enthusiastic in her pleasure about being with you and is happiest when she is by your side. Guinevere is a true queen and is ready for her castle.